Successfully Added Nano Cam - High Resolution Mini Camcorder to your Shopping Cart. 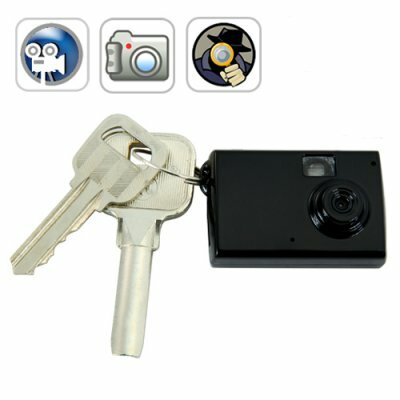 This incredibly small keychain camera is the perfect gadget for you to capture high quality videos without suspect. What's more, this amazing camcorder takes high resolution still photos, smooth 30 frames per second AVI videos, and even records crystal clear audio too! The Nano Cams High Resolution image sensor and extremely small form factor make it the perfect camcorder for work, insurance protection, life blogging, or as an “at hand” camcorder for capturing life’s spontaneous moments. In addition, you can easily connect the Nano Cam to your computer via USB to use as your primary webcam. Or, you can even use it as a USB storage device to transfer all your important computer files. Built using high quality components and backed by our famous 12 month guarantee, the Nano Cam is the perfect mini DV camcorder for personal or resale use. Place your bulk orders now while supplies last and we will express ship your order within 24 hours. Available only from the leaders in wholesale electronics, Chinavasion.